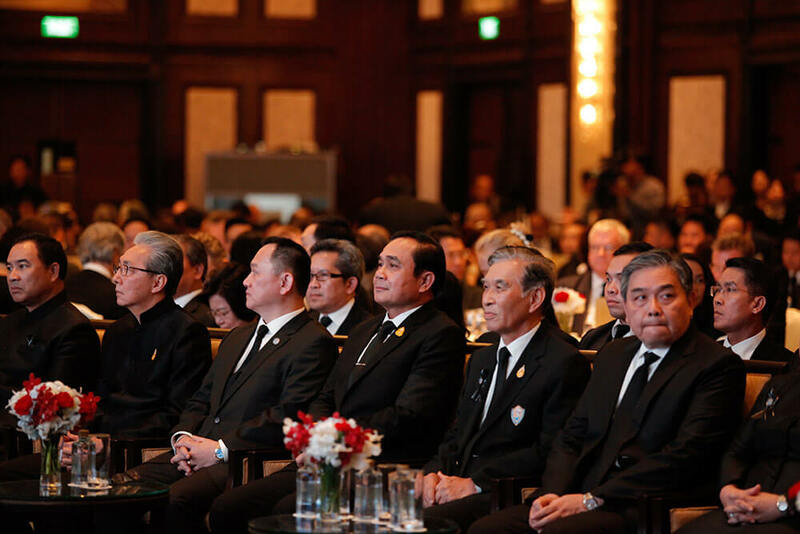 In the presence of more than 500 foreign business community members, chambers’ presidents, governmental leaders, diplomatic corps, international and local media, foreign trade attaches, business leaders, corporate executives and industry heads, the Prime Minister of the Kingdom of Thailand Address, H.E. 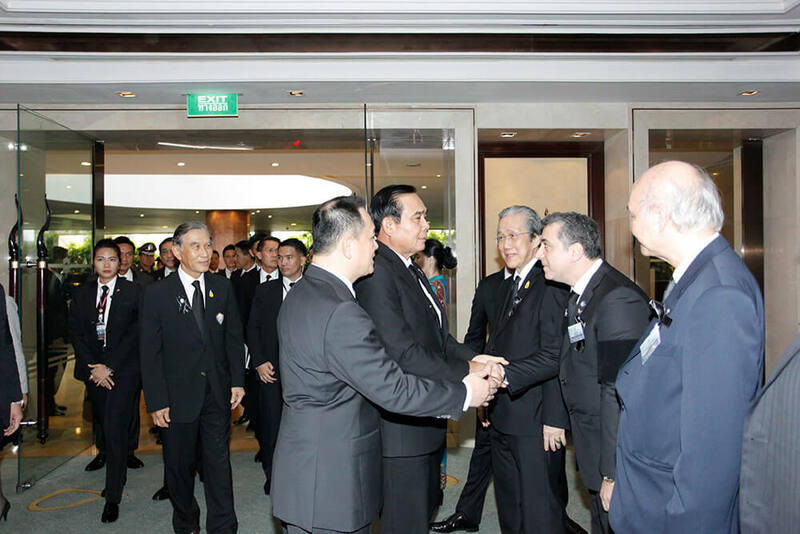 General Prayuth Chan-O-Cha addressed the foreign business community of Thailand on the investment and economic situation, as well as the challenges ahead faced by the Thai economy, clarifying the measures undertaken by the Thai government in terms of coping with the internal and external developments and the possible effects on the overall business climate in Thailand. 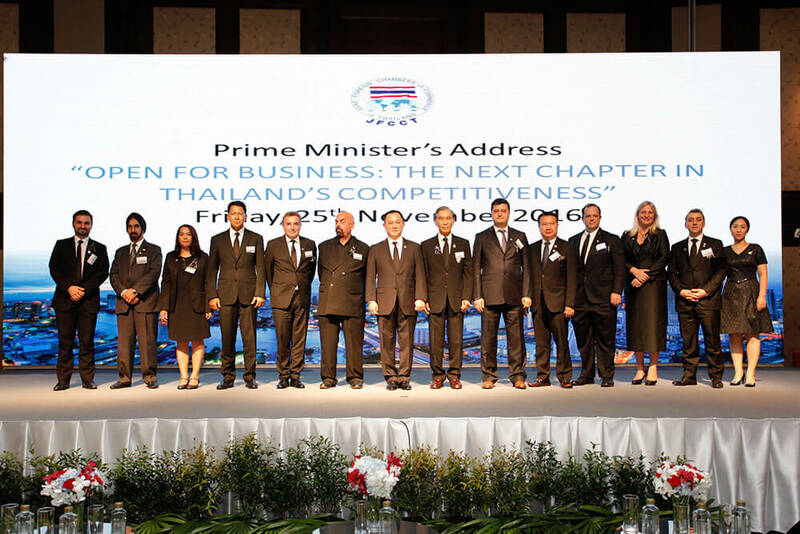 The Prime Minister address was forthright in subject, reciprocally connecting with the audience and reassuring to the acuities of the foreign business community of Thailand. 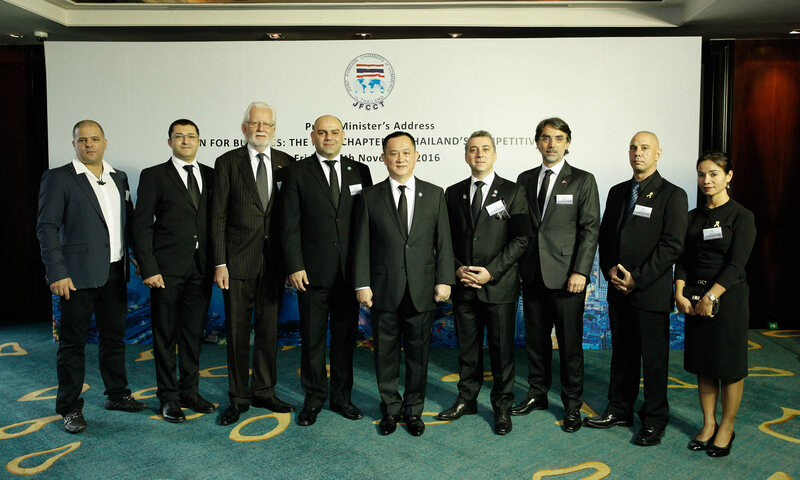 The event was organized by the JFCCT and was titled “Open for Business: The Next Chapter in Thailand Competitiveness”, in collaboration with the foreign chambers in Thailand. 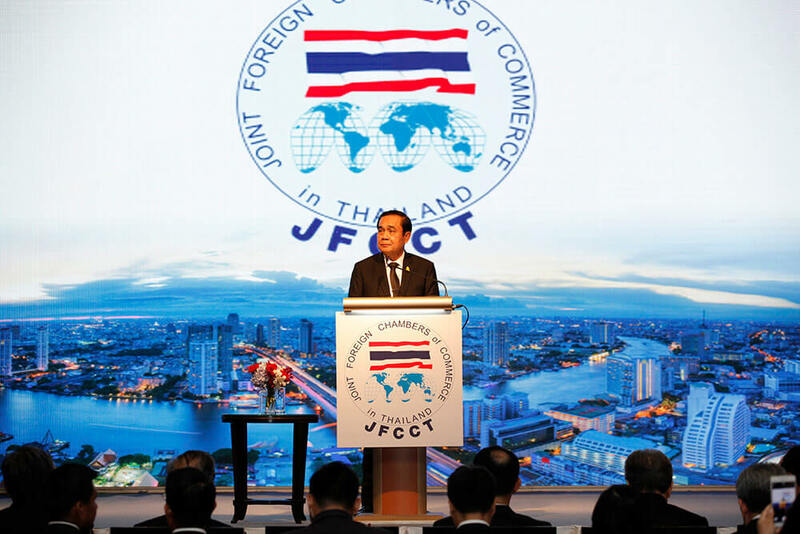 JFCCT marked this occasion with the corresponding 40th Anniversary of the foundation of the foreign chambers’ umbrella organization and the launch of JFCCT Yearbook “40 Years in Thailand Supporting Foreign Business”. 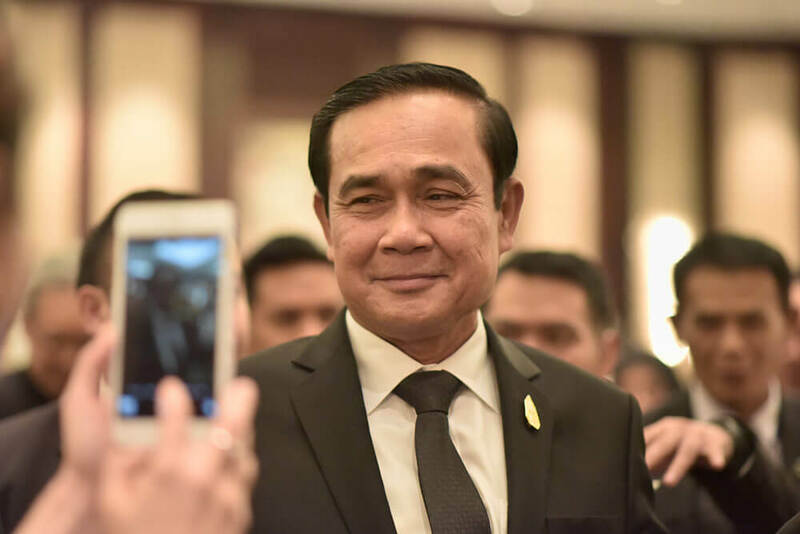 The Prime Ministers address event commenced with 88 seconds of solemn standing silence in remembrance and respect to the passing away of His Majesty King Bhumibol Adulyadej, followed by a commemorative video-clip exemplifying His Majesty’s valuable legacy. 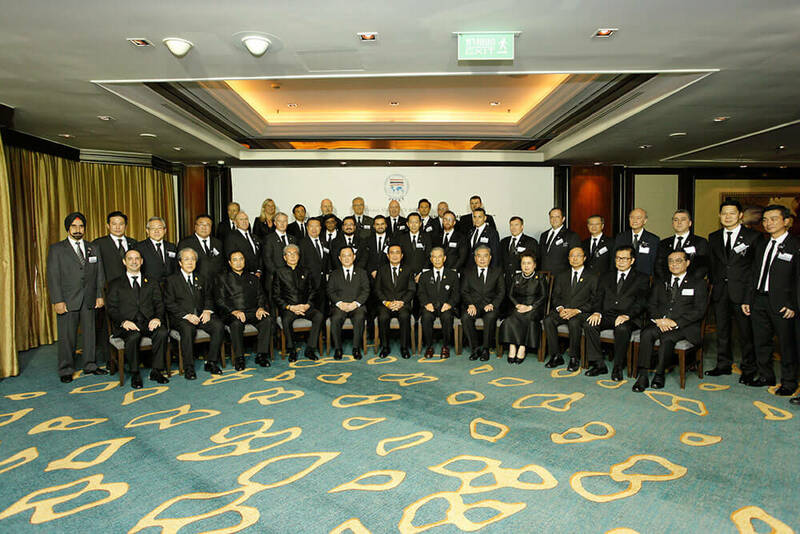 Henceforth, the welcoming remarks was conveyed by Mr. Stanley Kang, JFCCT Chairman, additionally the audience were updated by presentations from the JFCCT sub-committees on Tourism, Education, SME, ICT and International Trade, retrospective notes were read by JFCCT past presidents and leaders. 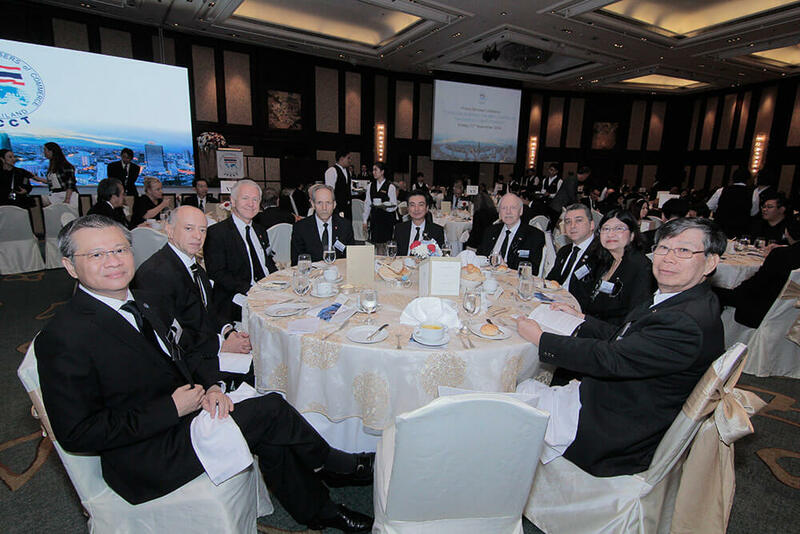 The event was directed by the JFCCT Vice President, the ever so dynamic Mr. Marc Spiegel. 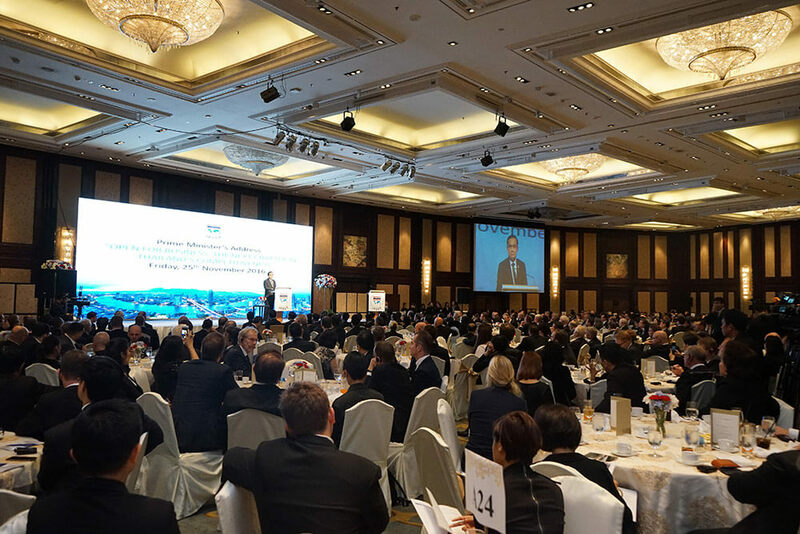 The Prime Minister’s luncheon asserted the foreign business community’s willingness to be part of the growth pillars of the Thai economy, as well as part of the building process whether that is in reforming the internal structures, processes and legislature i.e. 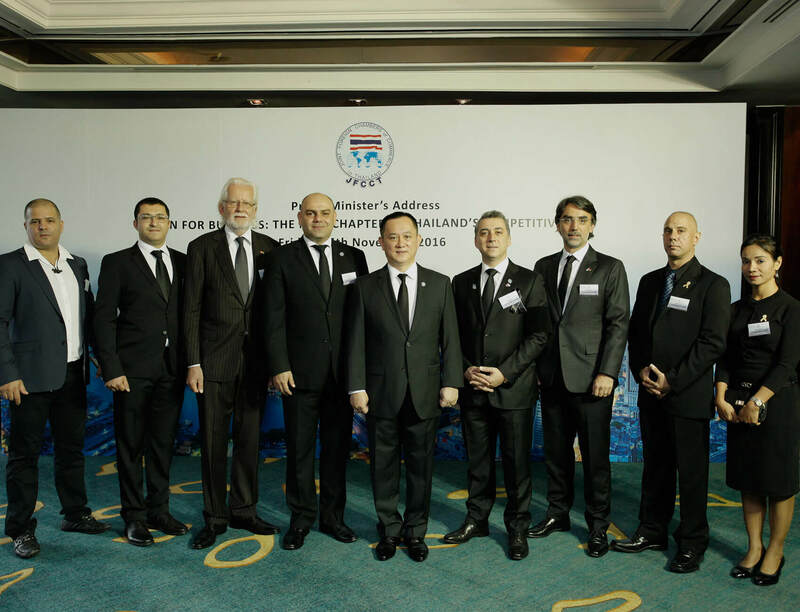 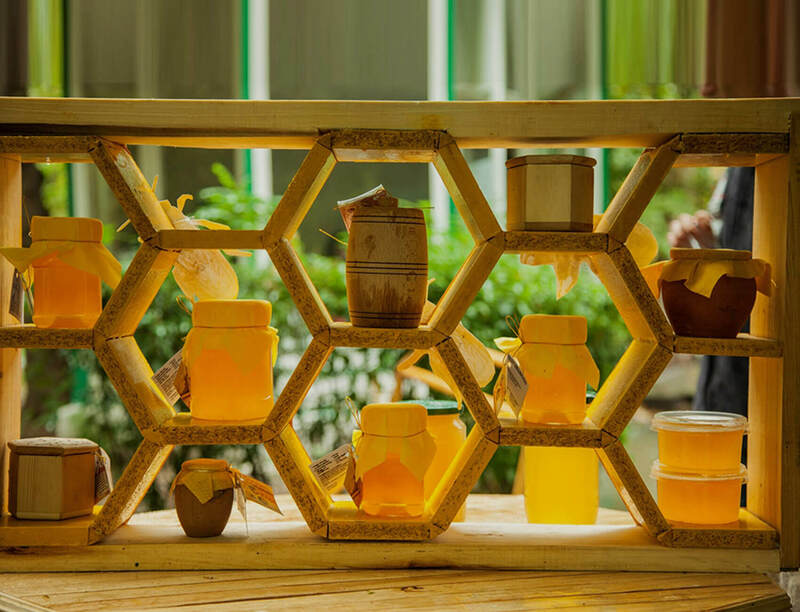 : labor, trade, digitization, fight against corruption, or encouraging productivity and efficiency in making the Thai economy more competitive.